Oatmeal,with a special strand of fiber known as beta-glucan,lowers cholesterol,protects the heart and boosts the immune system.Its also rich in magnesium,which reduces the risk of type 2 diabetes. For many kids, there can be no worse breakfast than oatmeal. They’ll eat pancakes and waffles and cereal, but they won’t touch oatmeal. 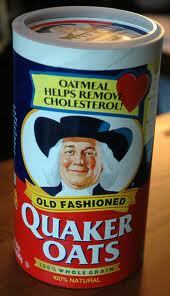 But what many kids, and many adults, don’t realize is that just one bowl of oatmeal a day can keep the doctor away. It’s full of fiber and just one cup contains almost 26 micrograms of folate, and more than 10 grams of protein. Oatmeal also has many other amazing health benefits, like the ones listed below. 8. It Gives The Immune System a Boost. 9. Eating Oatmeal Can Prevent Weight gain. 10. Those Who Can’t Eat Gluten Can Eat Oatmeal. 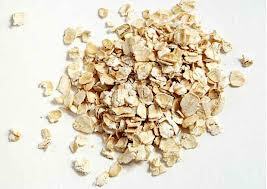 If you eat more oatmeal you can drastically improve the quality of your life in a healthy way.Oatmeal contains a special type of antioxidant called avenanthramide. Avenanthramides not only protect against heart disease, they also prevent the arteries from hardening. A study conducted in the UK found that pre-menopausal women reduced their risk of developing breast cancer by 41 percent just by eating fiber from whole grains. It’s recommended that postmenopausal women, who tend to develop high blood pressure, should eat six servings of oatmeal or other whole grains on a weekly basis. Studies show that men can also reduce their risk of heart failure if they eat one bowl of whole grain cereal or oatmeal, per day. 1.Mix all the above ingredients except oil, to a dosa batter consistency adding needed water. Let is sit for 15 minutes. 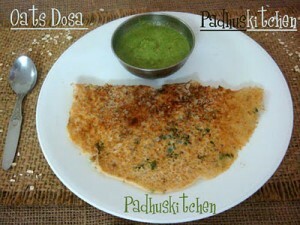 2.Heat a non stick tawa, pour a ladle of batter and spread it in a circular motion as you do for normal dosa. Drizzle oil around the dosa. When paired with vitamin C, the cardiovascular benefits of oatmeal are enhanced, so drink a glass of orange juice or eat some citrus with your oatmeal. You can also try making oats idli,upmas,in your own style .Eat healthy,live better. Food technologist (BE, MBA) specialized in Quality control , New product development , R&D.. she was working as a quality analyst in a private Food industry .Now She is living in Iowa, USA. சங்கீதா செந்தில்குமார் has written 18 stories on this site.